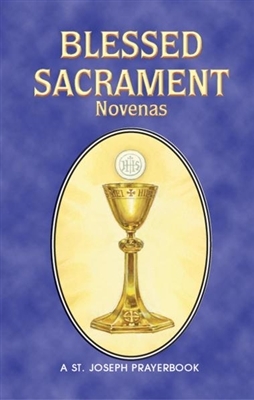 Blessed Sacrament Novenas by Catholic Book Publishing is a helpful, illustrated booklet filled with the most popular Novenas in honor of the Blessed Sacrament. Purse- or pocket-size and printed in two colors for anywhere, anytime prayer, Blessed Sacrament Novenas is a 64-page, easy-to-use source of inspiring Novenas to the Blessed Sacrament. Size: 4 1/4" x 6 5/8"